Imagine a time when all the information you need to kickstart your day would be available without you having to speak to anyone and with just a touch of your fingers on the computer/ipad/tablet screen. The day is not far and with the advent of chatbots to assist in daily activities. These bots come in many forms from the highly complex bots to the relatively simple and easy to manage ones. The USP of bots is the ability of these bots to solve problems, provide information and handle queries without discussing with any other person at all. What is best is that the processing time in bots is negligible, you do not need to wait for resolution. One of the industries which have greatly benefitted from the discovery of bots is the banking industry. The ease of use, early resolution, simple mechanism, less processing time and minimal interaction are the reasons for the increasing use of bots in this industry. Before we proceed further, let us understand what exactly chatbots are and how they contribute to the world of finance with a special focus on the banking industry. In essence, chatbots are software products that use the natural language processing to interpret and respond to commands given through text and voice. The voice commands may be instructions or questions. 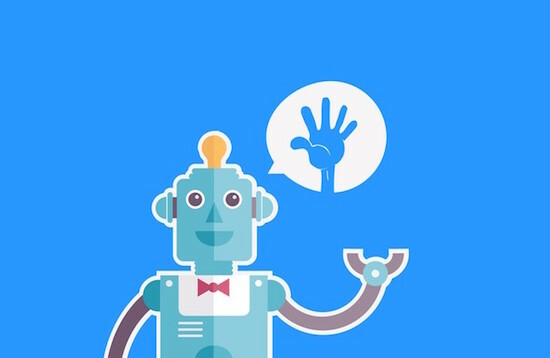 The functionality of the bots is simple, they are set up and engineered to understand and comprehend the key pieces of information a user shares. This information may be in the form of text commands or voice commands. The bots then provide an answer to the situation. The key inputs required for the bot to make the decision and provide an answer are all programmed into the bot. With a boom in the financial sector accompanied by a rising dissatisfaction in the customers, the bots are a boon for this industry. As the users of financial services increase, so do their queries and questions and there are just not enough people and bank employees to cater to this. Therefore, bots are the perfect answer. Customers call the banks for a number of reasons and when the necessary information is keyed into the software of the chatbots, then what emerges are quick answers and resolutions for the client and happy clients and customers for the banks and financial institutions. Bots can also function as marketing tools, these bots can help push the services and products that the banks offer to the customers who may not be aware that such services exist. So the bots can help in the marketing of products as well! Bots provide knowledge about the services that the banks offer and the new services, changes and enhanced features that products have. The bots help in increasing the value and worth of the company. The money that is generated when a sale is made through the publicity or marketing that the bots undertake help in increasing the income of the banks. A personalized approach when using marketing by bots is a good marketing gimmick and may well entice the customer to buy products that they do not necessarily need or want. Apart from this, bots also help in gathering and collecting information. This helps the banks to make informed choices and focused campaigns towards increasing their business. While customers get used to bots, there is a certain amount of brand consistency that also comes in. The customers become used to dealing with bots and it soon becomes an automatic process in which customers do not want to change. There is no issue of employee turnover as well, as bots are machines with no scope for job dissatisfaction. This helps in staff planning and troubleshooting. The ease of use, early resolution, simple mechanism, less processing time and minimal interaction are the reasons for the increasing use of chatbots in the banking industry.